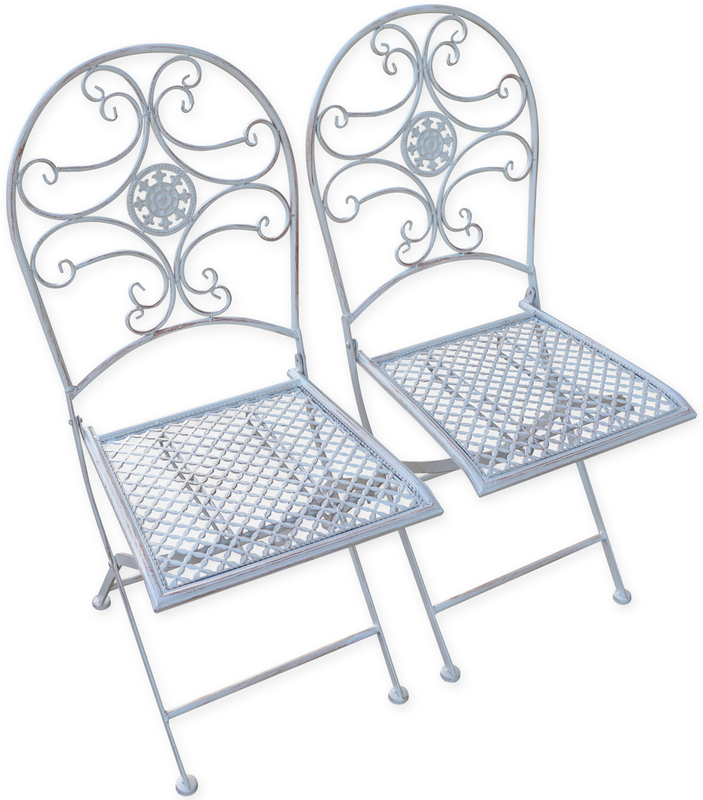 Set of two high quality white metal Woodside® folding chairs. They are ideal for outdoor dining and relaxation on your patio. They have a nice design with a rustic finish and fold out in seconds with no assembly required.